Is this to say that Tian Yu is literally the reincarnation of the girl (quite a big transformation if I say so myself) or is this supposed to be taken as a metephorical sense, because the ground has absorbed, the girl as well as her memories taking the form of Tian Yu (ie. the girl is just that straw that broke the camel’s back which helped to form a god). Damn I am confused. PS that girl is pretty cute, but horry sheet, if it’s the prior rather than the latter.. this manga be missing a gender bender tag…. which got me thinking, probably down the line, author/artist may give Tian Yu a female god form, here’s to hoping. OMG this is tortured !! i need more !! GO READ FENG SHEN FI FROM THE SAME AUTOR. so happy to see the artist from feng shen ji manga again, top work! 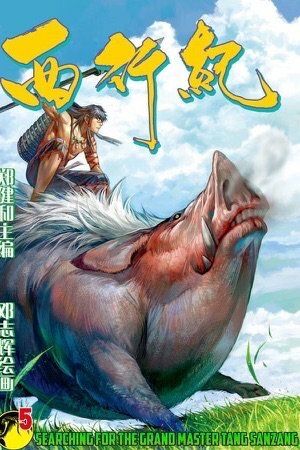 Oh man, this is from the author of Feng Shen Ji! This is gonna be great. It would be better if they are linked up correctly to find recent work etc.